my Solo Travel City Guide series. I noticed though, that some of my recent contributions have been about Australia! Maybe it’s a sign for me to visit my 5th continent? I have a bucket list of things to do in Australia, one specifically focused on Cairns, while another is a solo travel article on Sydney. Hopefully, I’ll get back on the road soon (or even just post more of my travels in South America! ).In the meantime, enjoy this post by Danielle Lawson of Live in 10 Countries. Have you considered visiting Australia and checking out Melbourne? You should! Melbourne is one of the world’s most livable cities. 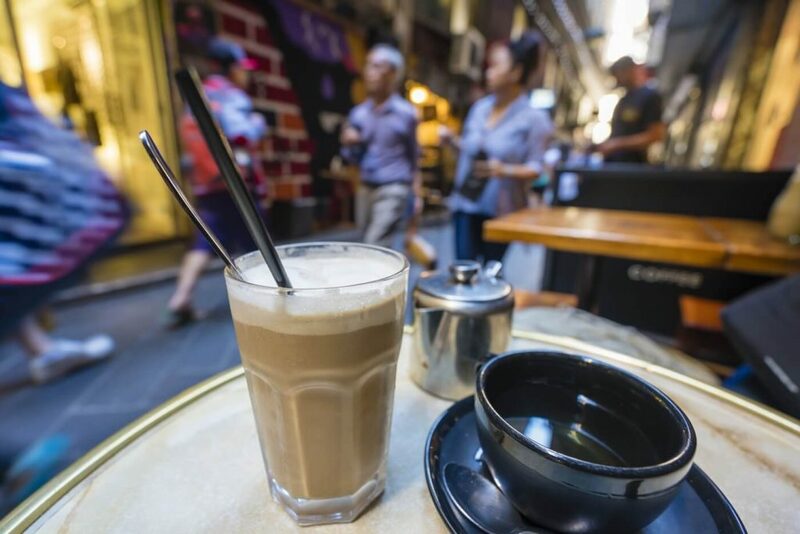 Not only is it hugely popular with backpackers on working holidays and study abroad visits, it has a thriving cafe culture and career market, too, that make it a great place to live in. 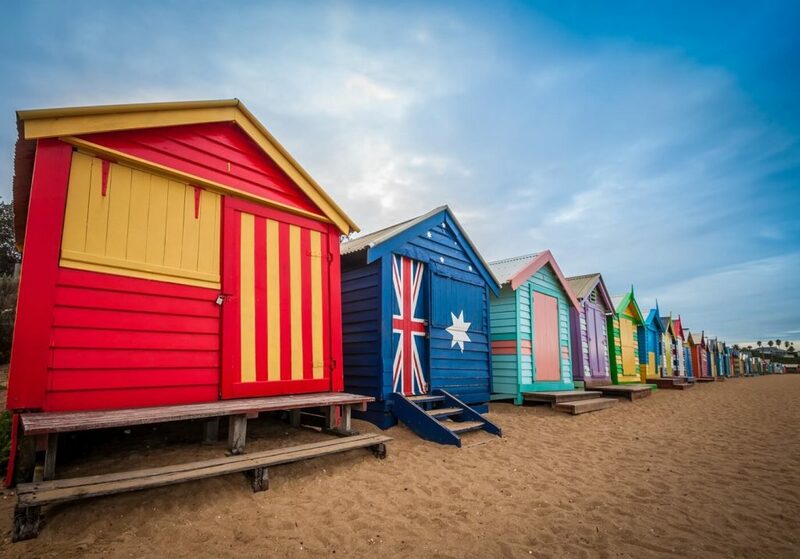 For the best mix of top beaches, mild weather conditions, and great attractions, Melbourne is very tough to beat. It has a really eclectic mix of locals and international people that gives the place a very welcoming vibe. Once you’re there, you’ll find it very hard to leave — in fact, I came as a solo traveler and stayed for two years! Like most major cities, Melbourne is actually divided into many suburbs which have their own unique characters. The center of town is the city business district, where the most famous shops, rooftop bars, and landmarks can be found and the rents are sky high. This is the swanky but not cheap option, with chic skyscrapers on all sides. Here you’ll also find boutique hotels and apartment hotels lining the most well known streets such as Collins Street and Elizabeth Street. If you fancy yourself as a bit of a hipster, you’ll stay in Fitzroy where things are a little cheaper, the houses have larger gardens and the best vintage shops can be found. A lot of the lesser known suburbs are also good options such as South Yarra and Fitzroy, among others. 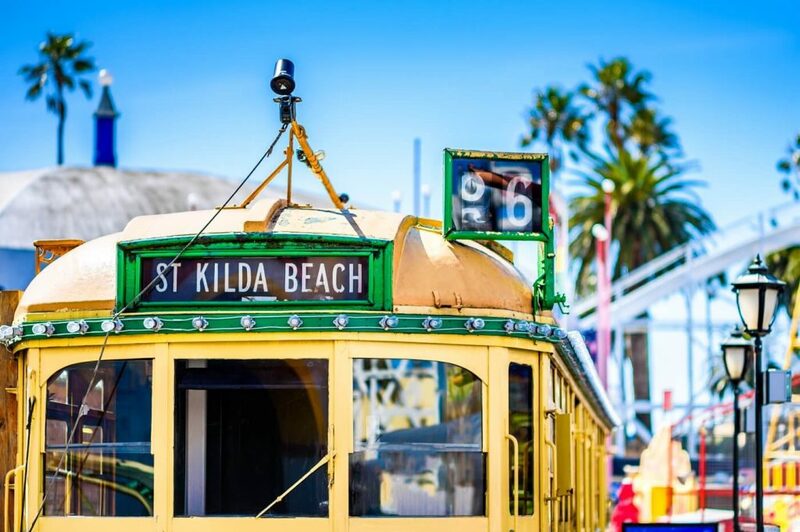 If you are on a budget, you’ll likely head for St Kilda. It’s the home of the city’s beach and Luna Park, a theme park, with great restaurants and top seafood. 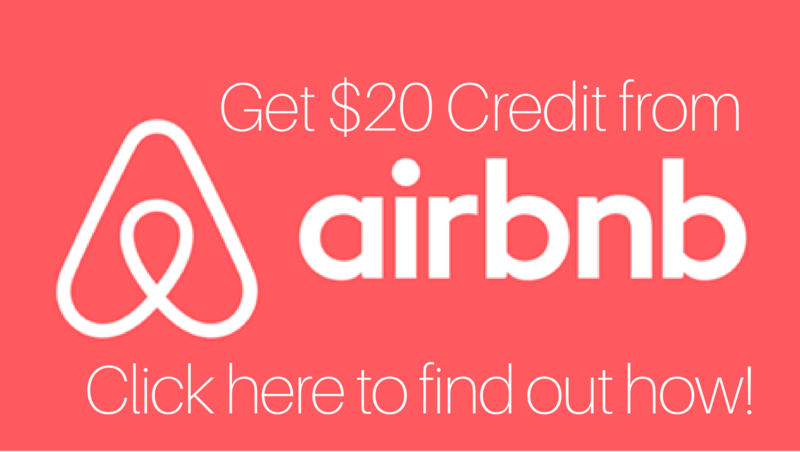 Most rentals here involve sharing a room and there are a huge range of hostels — it’s backpacker heaven. Melbourne has a really unreasonable amount of cute and tasty cafes, especially south of the river in the area known as South Melbourne. 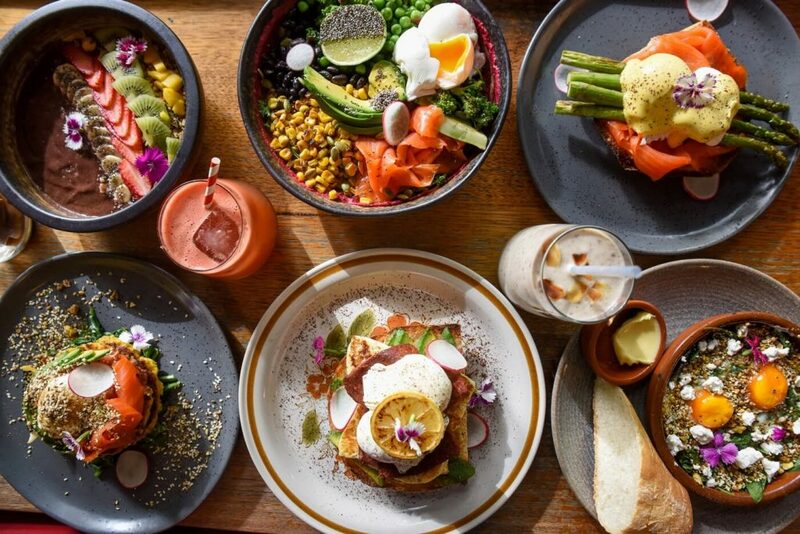 The best place to find out what they’re serving and get inspired is to surf a few Australian food hashtags on Instagram. To taste a little more of the world, the yummiest dumplings can be found in the CBD and you shouldn’t miss Yum Cha (a kind of high tea where you can taste treats from South East Asia) in the city’s Chinese Quarter on Burke St. Fancy something sweet? In the same street you’ll find incredible sci fi ice cream treats at the Nitro Lab, where it’s all high tech and the sauce is served to you in a syringe. Need a tipple to finish it off? I loved the unique idea of Melbourne’s Ice Bar, where the drinks were as icy as the snow sculptures. It’s the sort of place you can go alone and meet lots of welcoming locals, all dressed up to the nines in the special protective gear that they supply — because, man, that place is cold! Cafe culture is a big part of the Melbourne experience, and it’s a friendly space where getting a table alone will feel liberating and fun. Wind your way along the CBD’s streets and pick places that have a table outside so that you can people watch. People in this city care a lot about their coffee — you absolutely must try it! Keen to make some new friends? There are plenty of Couchsurfing hangouts and meetups across the city, especially when it comes to sport. Any night of the week you’ll be able to stroll out and find a friendly group to chat to and it’s one of the best ways to find your feet. Bonus points if you manage to get on a historic tram as that all adds to the fun. These run frequently, so if you see a modern one, it’s worth waiting a little longer for a more unique ride. Don’t miss Puffing Billy, too, a fun vintage train experience that is very dear to the locals’ hearts. As night falls, the views from the Melbourne Eye are breathtaking and its the perfect way to get to grips with the layout of the city. Watch it twinkle beneath you and you’ll feel on top of the world. And now for something seasonal, but the perfect event to attend as a traveler on your own — White Night in the Australian summer. For one night only, everything is open and everything is free. The bad news is that it attracts crazy crowds and queues, but the good news is that you can plan ahead and have a great time. Grab a spot by the river and watch free floating performances throughout the night or head to the east of the CBD where the laneways start and you’ll find glow in the dark graffiti exhibitions in the narrow streets. 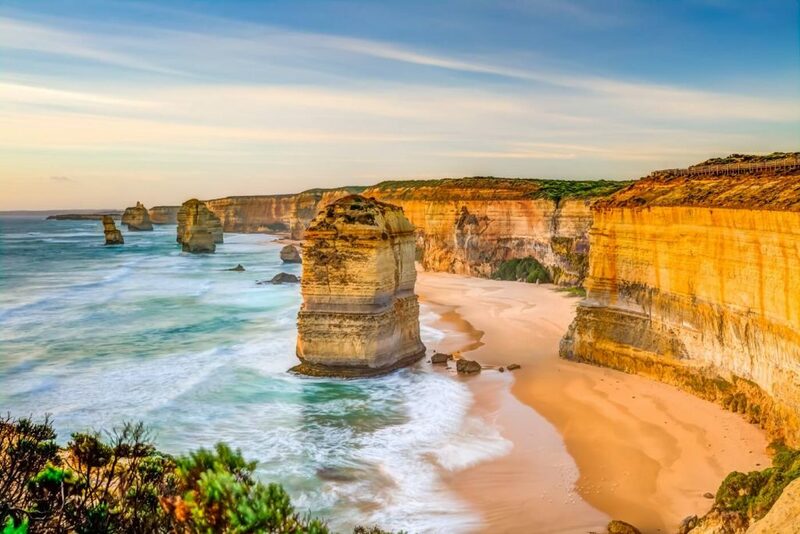 Stepping out of the city, you can’t miss a day trip along the Great Ocean Road and there are bus tours that make it easy to go solo and see all the sights even if you don’t have a car. Passing a lake, I stopped to ride a pedalo and forget all about the rest of the world. 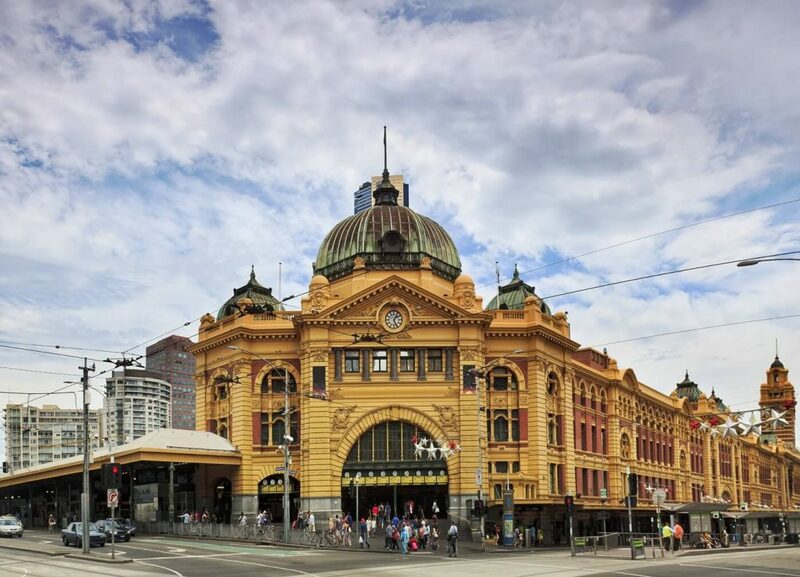 These ideas should have given you a good starting point for getting to know Melbourne, however long you’re staying (make sure to check out how to get an Australian visa). It’s an easy city to fall in love with and you’ll find it well connected for onward trips. It’s an easy flight to Sydney or even over to Auckland so that you can keep exploring and give those itchy feet a work out. Hope you enjoy your time Down Under! Featured photo of Brighton Beach by Blue Planet Studio/Shutterstock. Danni of Live in 10 Countries is a traveler on a mission to live in as many countries as she has fingers before she pops her clogs — and she shares all the juiciest travel scoops from each country. She’s unpacked her bags in eight new countries so far, but there’s still time for local and short day trips along the way! 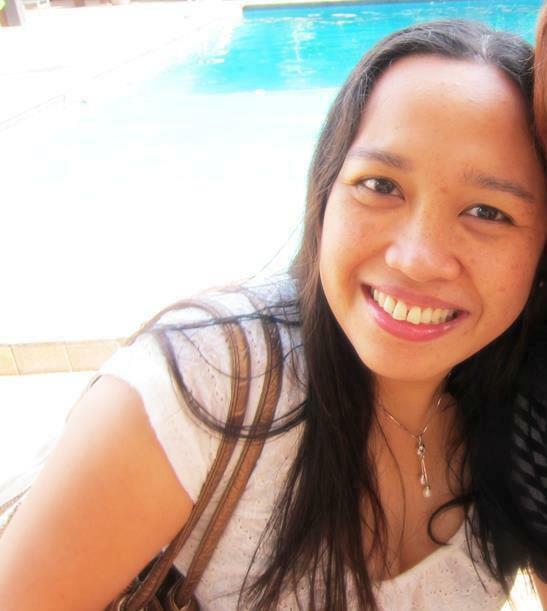 Finder her on Twitter or follow the journey on her blog. What a lovely place Danni and Aleah. Oz Friends have goaded me to visit Melbourne for a minute.